StickerYou has been helping craft brewers create beautiful beer labels for the past decade. We know what designs work best and how to stand out in the crowded beer market. 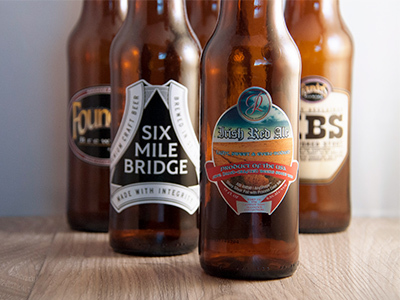 Order beer labels in any size, shape, and quantity with no minimums on most products. With StickerYou’s proprietary die-cut technology your high-quality beer labels will look exactly the way you want and achieve a professional look for your brand. Get a free quote today from our Senior Sales Rep and Beer Label Expert by filling out the form below, you can also request a free catalog and sample pack of our full product line here.